Posted on July 17, 2013 at 8:32 pm. EVCC, GVSHP, NYU faculty, and a broad range of neighborhood and preservation groups and individuals are suing to overturn the 2012 approvals of the 20-year NYU expansion plan. Tomorrow’s hearing will be a key milestone in that process. WE NEED YOU THERE TO SHOW YOUR SUPPORT! Posted on July 8, 2013 at 8:35 pm. The East Village Community Coalition works to recognize, support, and sustain the built and cultural character of the East Village. EVCC seeks a Business Outreach Coordinator to develop a new merchants association in the East Village. Hurricane Sandy exposed a need for local business organizing to respond to ongoing challenges and future events. The incumbent will bring energy and creativity to implement our business engagement strategy. The grant-funded part-time position is available immediately through June 2014. Applicant must have a passion for NYC as a city of neighborhoods. Familiarity with the East Village is a plus. Candidates must have excellent written and oral communication, proofreading skills, pay close attention to detail, be organized, and be a creative and independent worker. Basic computer skills, including Microsoft Word, Excel, and experience with social media including Facebook and Twitter among other platforms are essential. Interest in community organizing, community development, urban planning, historic preservation, small business, or marketing preferred. Experience in graphic design a plus. Please forward your resume and cover letter by Friday, July 19th to director (at) evccnyc (dot) org. Posted on May 29, 2013 at 8:56 pm. And further, Community Board 3 strongly favors a proposal that would result in the building becoming a genuine community facility and cultural center consistent with the building’s history in our neighborhood. Posted on May 13, 2013 at 5:40 pm. Posted on May 3, 2013 at 5:47 pm. The battle to reclaim old P.S. 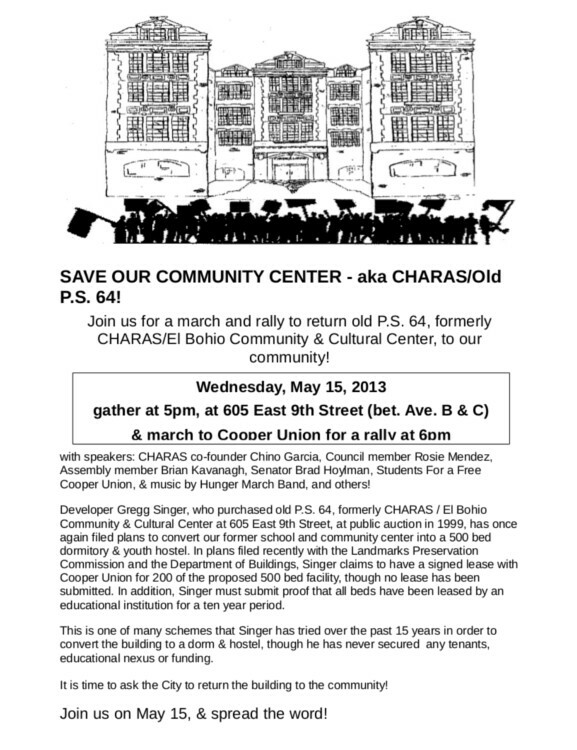 64/ Charas for the East Village community continues. 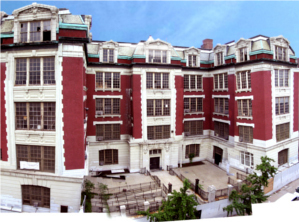 On Tuesday afternoon, the Landmarks Commission will vote on a series of changes to old P.S. 64/Charas/El Bohio. Approval from the LPC is required to move forward the owner’s plan for a 500-bed dormitory. We demand a better plan for old P.S. 64, one that serves the community. LPC will consider alterations to the front and and back courtyards, windows, and the roof. Review the drawings. Delivery your testimony to the commissioners on Tuesday afternoon or submit written testimony to comments@lpc.nyc.gov. Read our sample letter. Posted on April 23, 2013 at 6:12 pm. The Department of Buildings is currently reviewing an application to convert former P.S. 64/ Charas into a 500-bed dormitory. The Cooper Union has entered into an agreement with the developer to take a portion of the building for student housing. We reject the proposal to use P.S 64 as a dorm. 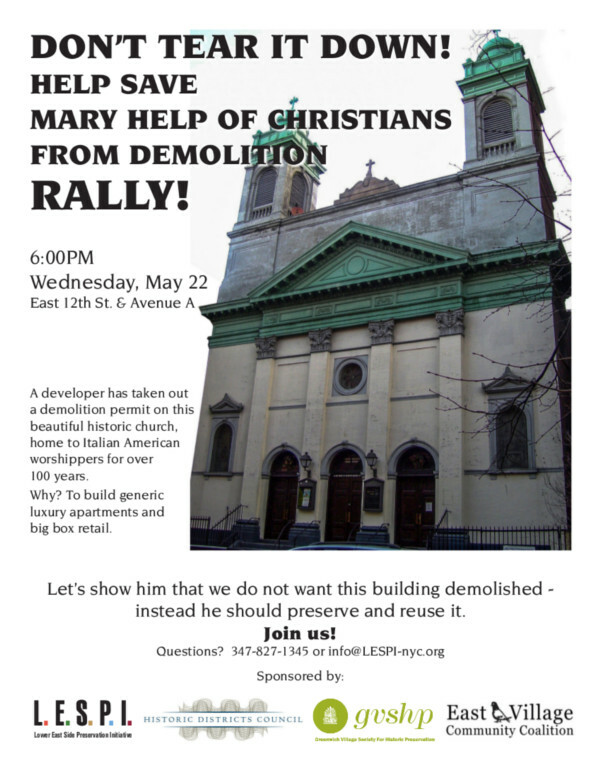 Sign on to demand that the building be returned to the community! located at 605 East 9th Street. community. Cooper Union should not house students in old P.S. 64. Have photos of the building from the past twenty years? Email director.evccnyc@gmail.com to add them to our archive. Include the month, year, and name of photographer. Read more about the history of P.S. 64 and our work to protect the building. Posted on April 15, 2013 at 6:14 pm. A representative from Kushner Companies is scheduled to address the CB3 housing committee on Wednesday, April 17th at 6:30pm. Earlier this year, Kusher Companies purchased more than twenty East Village walk-up buildings from the infamous Ben Shaoul of Magnum Real Estate and Icon Realty. The acquisitions include 325 East 10th Street, which has been operating as an illegal hotel for three years. Join us on Wednesday evening at the Seward Park Extension Community Center, 56 Essex Street. Posted on March 5, 2013 at 6:17 pm. Take your passion for the East Village to next level! Help us advocate for livability and small, independent businesses. Opportunities are available in Business Outreach and in Community Planning. The East Village Community Coalition works to recognize, support, and sustain the built and cultural character of the East Village. To apply, send your resume and cover letter by Friday, March 23rd to director.evccnyc@gmail.com. EVCC seeks an energetic intern to help develop community-driven commercial zoning and to engage residents and elected officials in the process. The incumbent will bring energy and creativity to implementing our business engagement strategy. Applicant must have a passion for NYC as a city of neighborhoods. Familiarity with the East Village is a plus. Candidates must have excellent written and oral communication, proofreading skills, pay close attention to detail, be organized, and be a creative and independent worker. Basic computer skills, including Microsoft Word, Excel, and experience with social media including Facebook and Twitter among other platforms are essential. Interest in community organizing, community development, urban planning, historic preservation, small business, or marketing preferred. We seek an energetic intern to assist in the development of a new merchants association in the East Village. Hurricane Sandy exposed a need for local business organizing to respond to ongoing challenges and future events. The incumbent will bring energy and creativity to implementing our business engagement strategy. Posted on February 25, 2013 at 6:26 pm. In pushing for the Sexton Plan, NYU and the City have argued that the four park strips on the superblocks are not parkland, and that the City never has regarded them as such. According to Henry Stern, former New York City Parks Commissioner, this claim is false. As he notes in his blockbuster affidavit, those park strips are parks, by any reasonable definition. True, they have not been mapped as parks—but then neither has Central Park; and NYU can’t build there, either. Stern has pointed out—and he should know—that the City has consistently regarded those park strips as parks; and that the only reason why they were not mapped as parks is that NYU alone has always blocked the Parks Department’s efforts to assert formal control of those four parcels. In court this Tuesday morning, our attorneys will be asking for discovery, to get us access to archived correspondence concerning efforts to designate those parks strips as official New York City parks, and NYU’s longtime obstruction of those efforts. We want to show Judge Donna Mill that many people care about this matter; and we also want the public to know that this issue has not been resolved, despite the City Council’s vote last summer. We therefore want to fill the courtroom, so that Judge Mills and the press (there will be a lot of media there) know that we mean business. The proceeding is scheduled to begin at 11:30, but it may take some time to get through security. As the courtroom holds only about 50 spectators, it is possible that you may not be able to get in. If there’s so large a crowd that people end up waiting in the hall, however, that too will be very good for us.